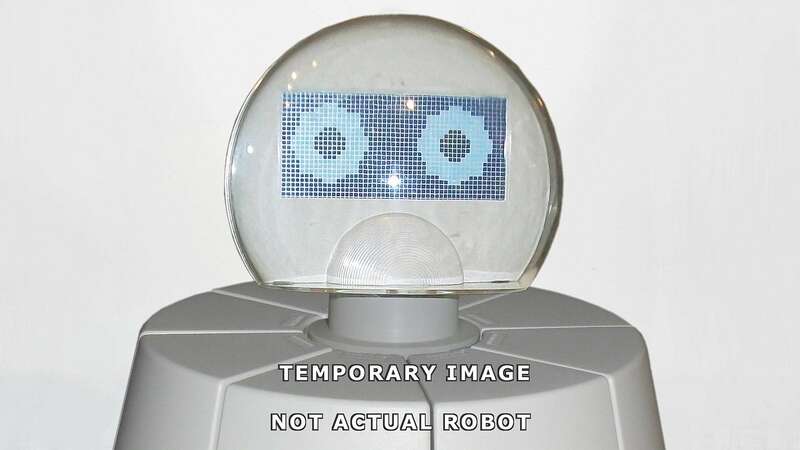 The head is standard on Moddy and can be added to the Service & Security robot. 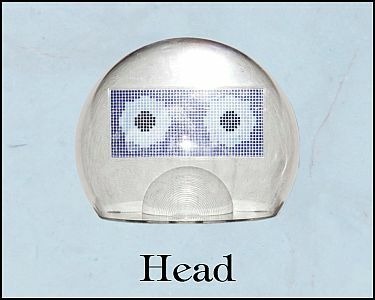 The face is covered by a clear dome with a thumb access slot for removal. The face plate has a shiny smooth surface. 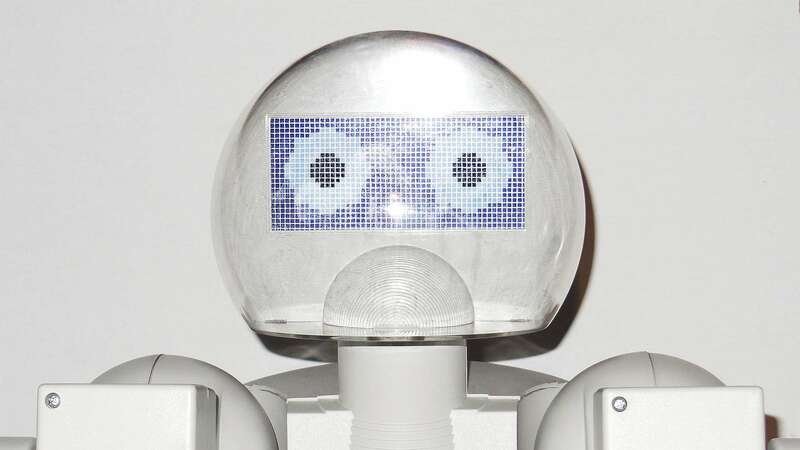 The eyes are part of a large decal behind a sheet of acrylic glass that was hot-glued in place. Modulus' eyes were said to assume numerous expressions, which is more than a decal can do, so possibly other eyes were planned with the use of an LCD screen or a vacuum fluorescent display that would be mounted on the four unused screw mounts. The screw mounts could also have been for mounting brackets never produced for the eye plate. The two unused connection sockets inside Moddy's torso might also indicate something more was planned for the head. The back part of the head, with slots that could resemble ears. The head is equipped with a spring loaded neck joint that lets you position the head in any desired direction. The designer of Modulus wanted the robot to be able to nod, so a motorized neck may have also been planned, but never went to production.